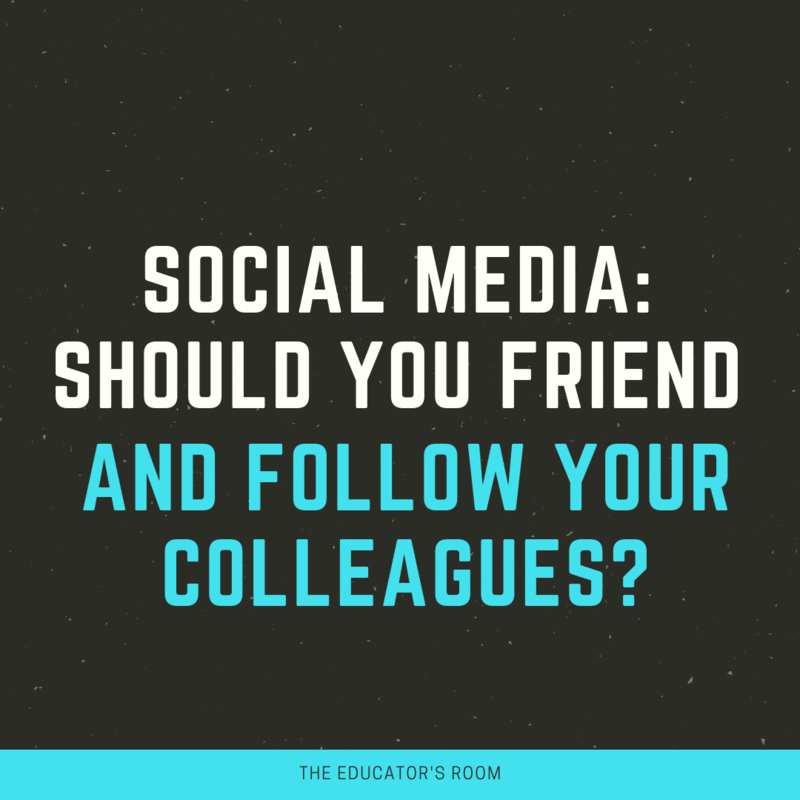 Social Media: Should You Friend and Follow Your Colleagues? I’m 35 years old and I have seen social media evolve for better and for worse. Back in the day, my first social media accounts were My Space, Black Planet, and Facebook. I didn’t use My Space or Black Planet long, but Black Planet, a social networking site for black people, served its purpose because that is where I first connected with my husband. Do you remember when Facebook was only for college students? That’s when I started using it and I currently use it today in addition to Twitter and Instagram. I see social media as a tool to connect with others, but some people confuse it with real life and think they really know people they have only connected with online. Most people’s social media accounts show their highlights. You may think you know a person from viewing their social media, but you may not truly understand who this person really is. I have posted photos of me having a great time on a day that was pretty crappy. If you didn’t know me in real life, you would assume based on that photo that I had an awesome day. It is not even about me being deceptive online; sometimes I take photos and forget to share them. This is why I believe people should not make a big fuss over whether or not someone wants to connect with you on social media, however, when it comes to ‘befriending’ your colleagues from the workplace it can get tricky. When I started my education career in 2006, I only had Facebook. I decided that I would not friend any people from work on Facebook during my first year. Later in my career, I became friends with a colleague on Facebook; I still regret that to this day. She took some inappropriate actions at school and several people at school including me were asked about it. I don’t care who you are; I am not going to cover for you or lie for you if you are wrong. Then, she started posting comments online that seemed to be directed towards people who were asked about the situation. I don’t have time for drama in my real life, so I’m not going to be involved in drama online. I responded to the statements online by hitting the block button. After that, I decided I would not ‘friend’ any current colleagues on Facebook even if we became friends in real life. I now have a few former colleagues as friends on Facebook, but I actually hang out with them outside of the work day and that’s the only reason we are friends on Facebook. About three or four years ago, the school district where I worked encouraged all teachers to create Twitter accounts to promote the district and the work we were doing in the classroom. I did, so I started allowing people to follow me on Twitter from work because I use it mostly for professional purposes. Surprisingly, I have had colleagues get angry at me for refusing to friend them on Facebook or allowing them to follow me on Instagram. I even got confronted in the parking lot. I have two younger sisters and I am only friends with one of them on Facebook even though I interact with both of my sisters in my real life. If I’m not going to friend my own flesh and blood, then you really shouldn’t trip because I don’t friend you. Honestly, I think people read too much into people’s actions on social media accounts. I don’t want to say online, “Today was rough” and then have a colleague confront me and assume I was talking about them. This really happened to a teacher friend of mine who was actually referring to a situation in her personal life, not school. If you want to know me, really know me, then connect with me in real life. I would rather have meaningful relationships with colleagues in real life than artificial ones online. I don’t need everyone in my personal business, not that I’m posting stuff online that is inappropriate. I don’t need people reading into everything I post and making up situations that don’t exist; it is really not that deep. The real reason I don’t friend colleagues on my social media accounts that I use for personal reasons is that I need separation from work. When it gets to the end of the contract time, I want to connect with my family and friends who don’t work with me. Too many people are frustrated at work, a place people spend the majority of their time because they never stop connecting to and talking to people at work. Some colleagues will be mad if you don’t friend them or allow them to follow you, but I say stay mad. While you are mad, I’m blessed and stress-free. This is what works for me. Teachers, you have to figure out what works for you and you need to stick to it.